The Digital wave has brought in a new era of opportunities, with emerging technologies serving as critical enablers for enterprises looking to rapidly transform themselves. Traditional ADM services also continue to be important, but with far stringent requirements. New technologies such as Cloud, DevOps, Container-based Virtualization, Automation, Artificial Intelligence, Big Data, Blockchain, Internet of Things (IoT) and Everything-as-a-Service have the potential to streamline operations, bring in better efficiencies and reduce costs. However, enterprises still need to deal with their disparate technology landscapes and legacy applications to achieve better economies of scale. Services offered by Larsen Toubro Infotech (LTI), which has years of experience providing turnkey IT services and solutions for companies across industries, will help you adopt newer technologies as well as enable you to manage your existing application needs. Our Enterprise Solutions, Application Development and Management Solutions, Cloud Services, and Digital Transformation Services cover both traditional as well as new-age offerings. You can optimize your business workflows and integrate them seamlessly, while minimizing technology costs with our Enterprise Solutions based on Oracle, SAP, Microsoft and IBM platforms. With our Infrastructure Management Services (IMS), you can benefit from increased business agility with minimal IT risk. Our proprietary next generation ADM platform, along with our robust Assurance Services, will ensure you develop and roll out high quality, innovative applications in no time. And going digital has never been easier! 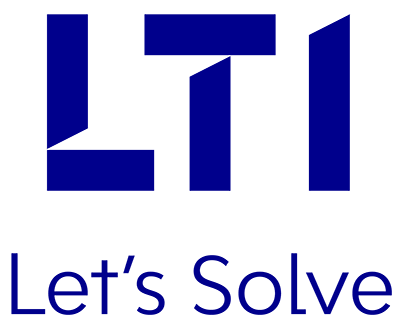 LTI’s digital transformation services, which leverage our proprietary Mosaic suite of offerings, will help you automate your workflows and chart out new business strategies, helping you become a true front-runner in the digital era. LTI, a leading IT Services Provider, is well placed to help you achieve convergence between the digital and physical worlds. Our innovative Digital and IT solutions, as well as our Technology Consulting Services, help our customers address their unique business challenges, while optimizing costs and becoming more agile.